NeuroClear supports brain and memory health** with a unique complex of Phosphatidylserine, Ginkgo Biloba and DHA in a convenient softgel. Directions: For adult men, take one (1) packet daily, preferably with a meal. Other Ingredients for Ultra Man™ 50 Plus Daily Multi: Vegetable Cellulose (Hydroxypropyl Methylcellulose, Microcrystalline Cellulose), Calcium Silicate, Vegetable Stearic Acid, Hypromellose, Vegetable Glycerin, Vegetable Magnesium Stearate, Maltodextrin. Contains: Soy and Tree nut (Coconut). Other Ingredients for Vitamin B-12 1500 mcg: Microcrystalline Cellulose, Hydroxypropyl Methylcellulose, Vegetable Stearic Acid, Silica, Vegetable Magnesium Stearate, Dicalcium Phosphate. Other Ingredients for NeuroClear: Soybean Oil, Gelatin, Glycerin, Purified Water, Caramel Color, Mixed Tocopherols, Medium Chain Triglycerides. Contains: Soy and Fish (Tuna) Ingredients, and Tree nut (Coconut). Other Ingredients for Saw Palmetto 1000mg: Soybean Oil, Gelatin, Glycerin, Soy Lecithin, Purified Water, Caramel Color. Contains: Soy. Other Ingredients for L-Arginine 1000 mg: Vegetable Cellulose, Coating (Hypromellose, Glycerin). Contains <2% of: Vegetable Stearic Acid, Silicon Dioxide, Vegetable Magnesium Stearate. Contains: Tree nut (Coconut) Suitable for Vegetarians. Other Ingredients for Co Q-10 100 mg: Rice Bran Oil, Gelatin, Vegetable Glycerin. Contains <2% of: Soy Lecithin, Purified Water, Titanium Dioxide (Color). Contains: Soy. Warning: TThis product is intended for use by men and is not intended for use by women. If you are taking any medications, planning any medical or surgical procedure or have any medical condition, consult your doctor before use. Discontinue use and consult your doctor if any adverse reactions occur. Not intended for use by persons under the age of 18. Keep out of reach of children. Store at room temperature. Do not use if packet is cut, torn or open. WARNING: THIS PRODUCT CONTAINS A CHEMICAL KNOWN TO THE STATE OF CALIFORNIA TO CAUSE BIRTH DEFECTS OR OTHER REPRODUCTIVE HARM. Ultra Man™ 50 Plus Daily Multivitamin Packs is rated 4.7 out of 5 by 10. Rated 5 out of 5 by MisterS from Health is wealth. I've always found these vitamin packs to be remarkably and demonstrably effective. Rated 5 out of 5 by Blh56 from Very good product Thank you for a good solid product that works good. Rated 4 out of 5 by Vince2011 from Good but out of stock for the last year I’m over 50 and have been taking this for years. I don’t get sick and feel great when I take it, but haven’t been able to buy it in stores or on line since November of last year. The constant “out of stock” message is infuriating. I’ve given up trying and went to GNC. If/when they are back in stock, I’ll switch back. Rated 4 out of 5 by Ron from Excellent product. I love these vitamins. I have been taking them for about 5 years and am a loyal customer. PLEASE REPAIR YOUR STOCK PROBLEM. THEY ARE ALWAYS ON BACK ORDER!! 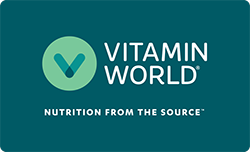 Rated 5 out of 5 by Anonymous from Amazing product One of Vitamin World's best products. I have experienced more stamina and vitality since beginning this supplement, even amatory. Rated 4 out of 5 by John from Seems to work for me. I have been using the product for some time now and it appears to help me. For some reason Vitamin World has a hard time stocking the item! Rated 5 out of 5 by Jumphol from Excellent product I have been recommend from my friend whom had 74 years old that he is in very good shape and he did reccomend to me to try at first month just feel have a little more energy than normal and i continue now about just almost a year and feeling much more energy and healthy. Rated 5 out of 5 by peburdis from Very good product. Wish that they had a combo Over 55/Sport.